is the only one-stop-store for the furniture manufacturers and decorators. to answer all of your questions and offer advice. also to individuals who take advantage of our wholesale prices! All sizes available of every product we sell! 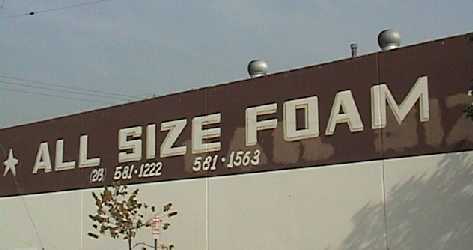 All Size Foam & Fabrics was established in April 1976. We offer wholesale prices to the public.